Welcome to February's Pick 3 Linky! Time is flying by, as it always does this time of year. Haven't planned your class Valentine party yet? Need some ideas for February art projects? No worries, we've got covered! You are sure to find tons of great ideas in our little linky! 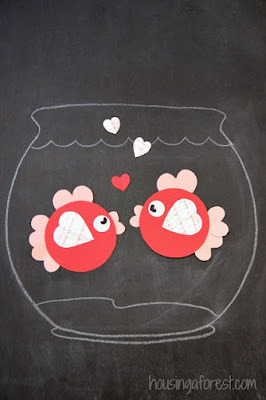 I fell in love with these adorable fish Valentines! There are many others such as a hedgehog, bunny, and squirrel shown on the blog post, but I just love these fish. My kiddos are going to make them for PAWSitively Teaching's Valentine Exchange! I love that the hearts are ready to be printed, and the kiddos can trace the patterns onto construction paper or patterned scrapbook paper and easily put their Valentine cards together! Last year was my first year of doing Valentine centers instead of a party. This year I plan to have a few science/stem experiments, including this one, cookie decorating, the Headbanz game (see below), and an art project. 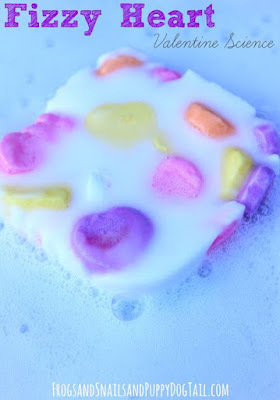 This fizzy heart experiment is sure to be a hit with the kiddos! 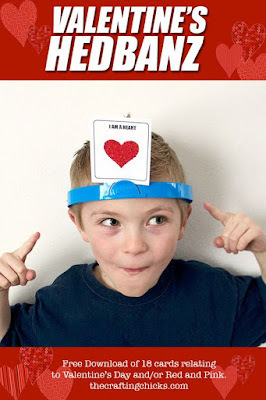 The kids are going to get a kick out of this Valentine's Headbanz game! They love playing my Disney and regular Headbanz game during Fun Friday, so I know they are going to have fun with this! You can see my more ideas from my Pinterest feed below! AHHH...those fish!!! Precious! I need to show our art teacher that idea! Those fish are just darling! I am right in the middle of a matter unit and I think those fizzy hearts will be perfect! Chemical reactions on Valentine's Day! I love it! Thanks for the great ideas! Valentine centers! I love this idea! I think I'll try it this year, too. Thanks! I love the headbandz game. It's always a hit. I have had a lot of fun this afternoon stalking others in this linky. I have found gobs of cool things! I can't wait to read more about the fizzy heart!!!! Love your pins!! I love the idea of doing stations instead of a party! Think it would be much more meaningful to the kiddos. Thanks for hosting! Love, Love, LOVE the idea of doing Valentine's centers instead of a party! Totally rocks!